In an effort to nurture the love of reading, a dynamic team of volunteers from the community are working one-on-one with students from our primary classrooms at Cedar Grove and Roberts Creek Schools. 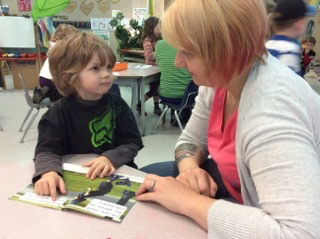 Using a classroom selection of engaging literature, mentors read to the children and listen to the children read. Volunteers generally spend 10-15 minutes with each student. If you are interested in getting involved, contact Sheila at rccs@dccnet.com . Time commitment can be small or great, but needs to be regular and quite predictable while school is in session.